If you are moving you will need to hire a reputable removal company to help do the job, as there is a lot to do. Make certain you are prepared and start early as it can take time to arrange such tasks as packing. If you are moving to Bow, E3 make sure you call Moving Service. Moving to a new area takes a lot of organising, and can be stressful, so let us help. We can arrange a meeting to discuss your requests and give you an accurate quote. We can supply affordable packing materials to do a first - class job. No job is too big or too small for our experts as we are experienced in all relocation services. We have a variety of moving options to suit all customers so if you need furniture or office shifting, we can do that. You can choose to rent our reliable removal van hire service or hire our man and van service if you have a smaller load to move to the area. Otherwise, we can completely sort the entire move competently. In addition, we can help with international removals services. Call us now for more details on 020 8746 4402. It is a built up residential area in East London in the Borough of Tower Hamlets. Its postcode districts are E3 and E14. Bordering it are the areas of Bromley-by-Bow, Old Ford, Mile End and the other side of the bridge is Three Mills in Newham. It is about 4.5 miles east of Charing Cross and just under a mile from the London 2012 Olympic Park. A fragment of the area is part of the park. The area went under major wide spread redevelopment when staging the Olympics games in the nearby Stratford. The area has grown since being put on the map of the games and experienced increase in residential areas, as well as the opening of gastro pubs and restaurants. The area is a vibrant and lively place with bustling high streets, markets and waterways and is a fun and exciting place to live. The area has a combination of wealth and poorer areas of the Bow quarter with gated communities. For a taste of East End charm head to Roman road market held on Tuesdays, Thursdays and Saturday. Another major feature of the area is the bridge across the river Lea, which is a 4 lane flyover, with Lea and Blackwell tunnel passing underneath. Moving Service is the expert on hand to make your move a good experience. We can do all of the relocation and save you the stress. We can help with the supply of the packing materials and a removal service of your choice. 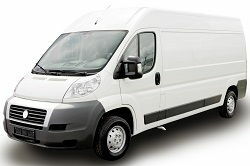 You can have our reliable man and van hire service in Bow, E3 where you get a helping hand with the secure loading, delivery and unloading. Or you can opt to do the move yourself using our excellent and cost effective removal van hire. 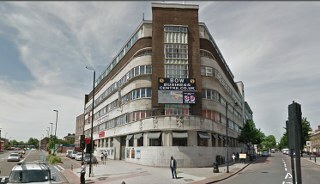 If you are relocating to E14 area make sure you call us and get more details about our professional services. We will arrange for an appointment to provide an accurate quote. Our costs are reasonable and will appeal to business and private customers. So give us a call on 020 8746 4402. You can book a date with our friendly and courteous staff. Don’t forget when using our services to get permission for our removal vehicles to park. I liked that they were insured and certified, or I would not have rang them up. The staff who answered my call didn't rush me, so I thought that was a good sign. Long story short, I had them come out to E3 as soon as possible for the move, just to get it over with. Everything was easy from beginning to end, so I suggest you give their moving services a try.